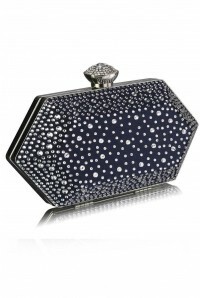 Bring midnight skies and twinkling stars to your look this season and rock this Navy Crystal Art Deco Clutch. 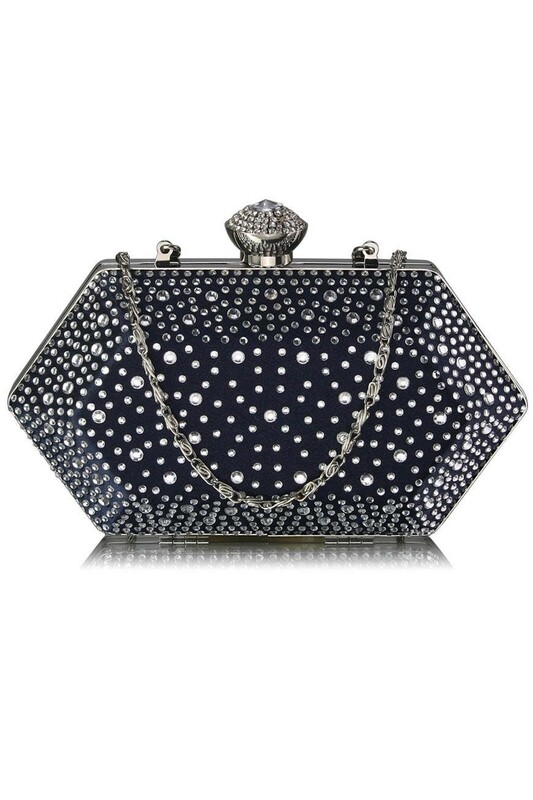 A wonderful deviation from black, this blue sparkly bag is arm candy for party season as it can be teamed with anything from a beaded flapper dress to jeans and a sequinned top and will look, just awesome. 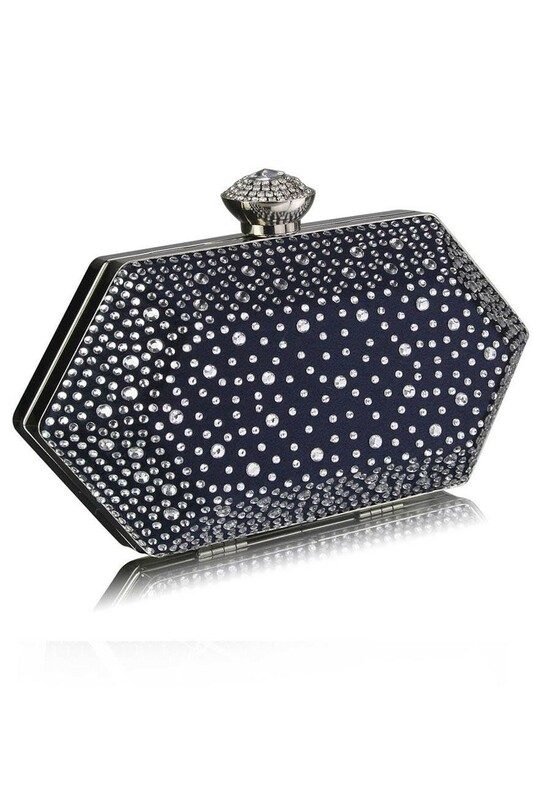 Check out our diamante jewellery and headbands for some full on beautiful bling. 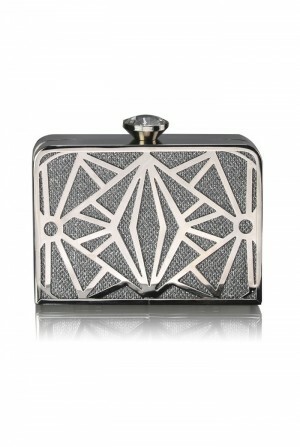 - Elongated hexagonal shaped bag (ooh the symmetry). 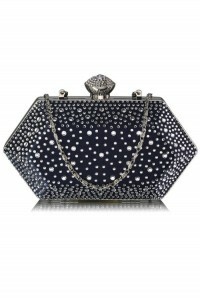 - Deep blue colourway with round diamante gem decoration. 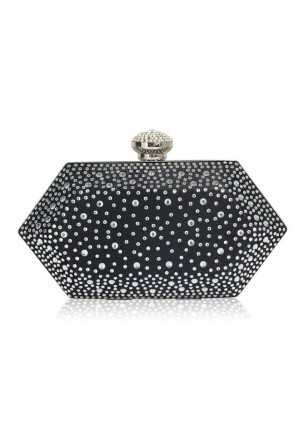 - Silver clasp with mega diamante detail (all the bling my dear) - Measures 18.75 x 10cm so plenty of room for essentials and phone.